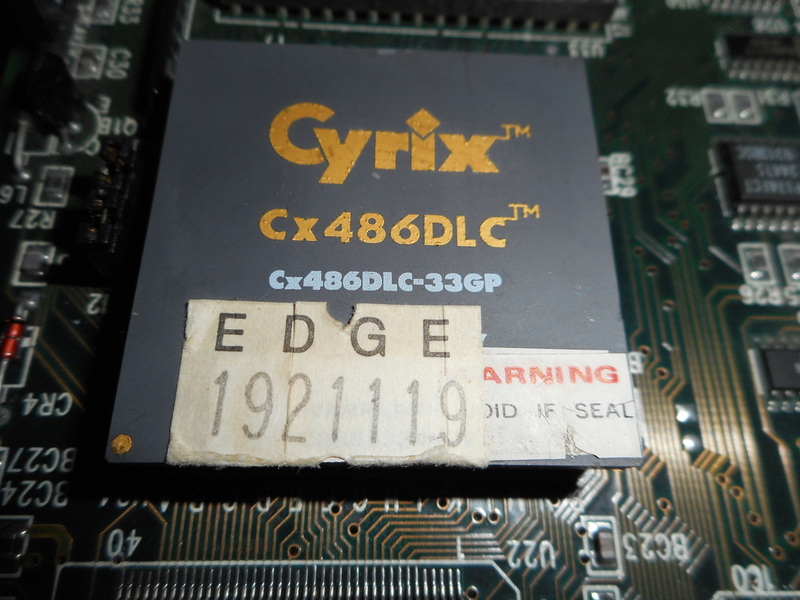 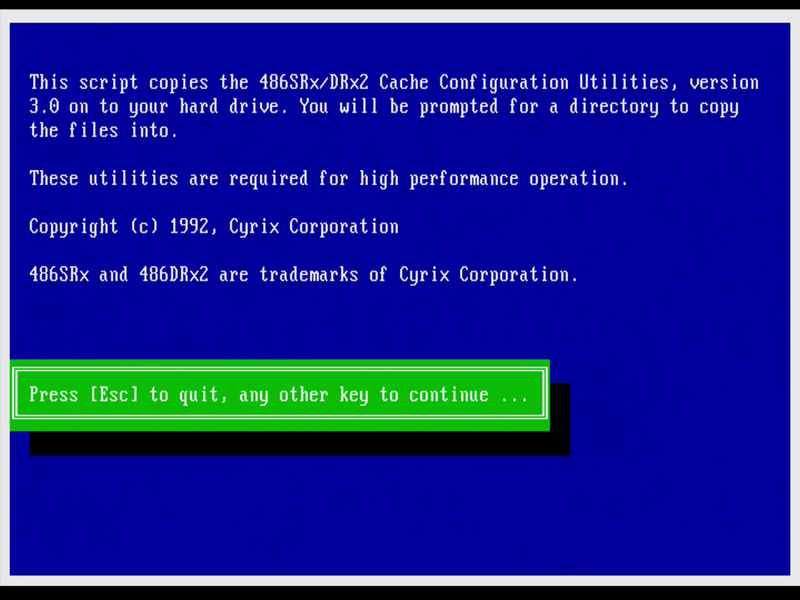 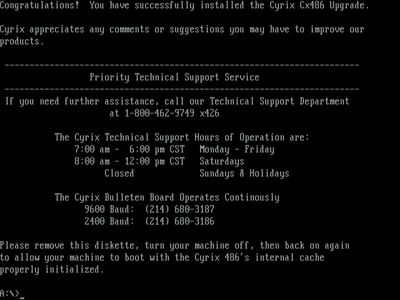 This page is dedicated to the Cyrix 486DLC chips. 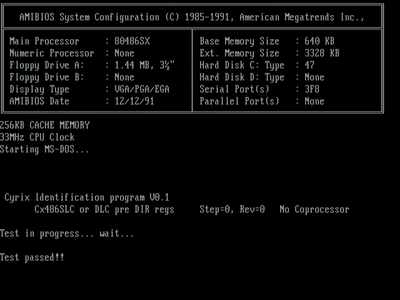 They go into 386 socket motherboards (PGA-132) and offer higher performance than the AMD Am386DX-40. 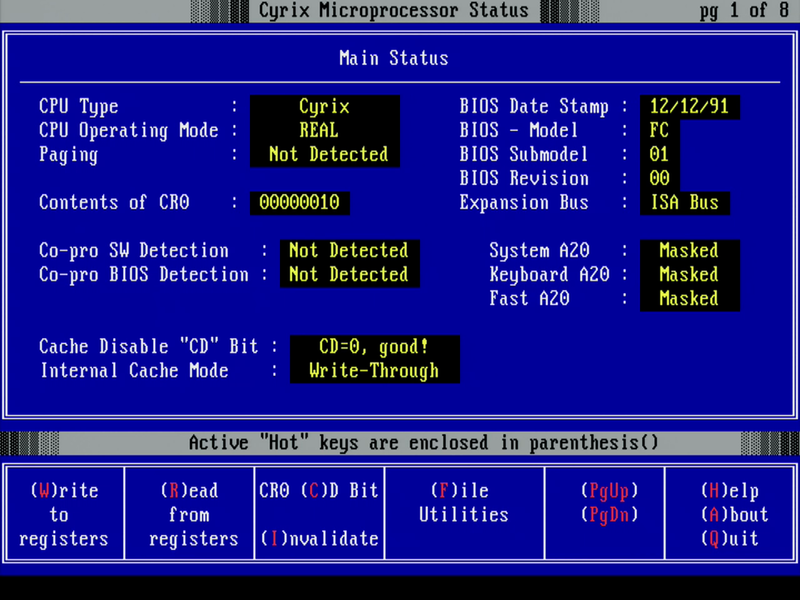 The highlight of this chip is the 1 KB of internal L1 cache. 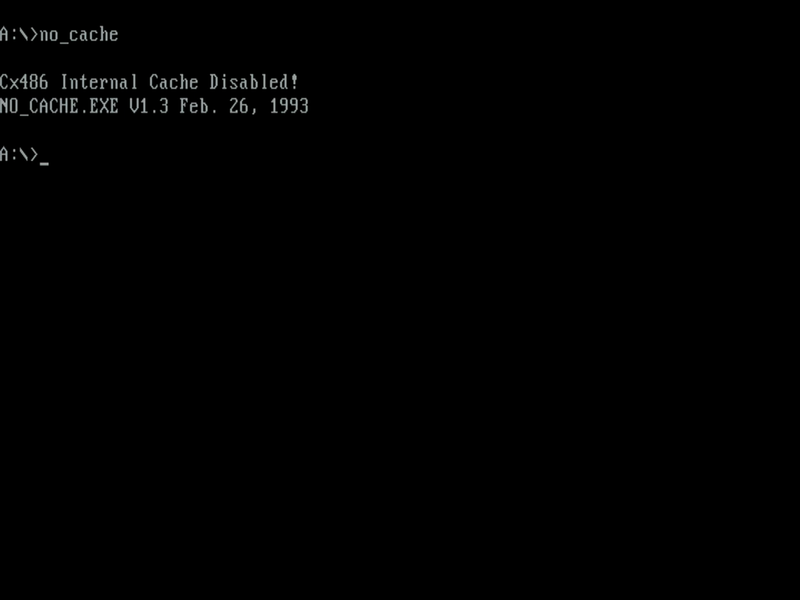 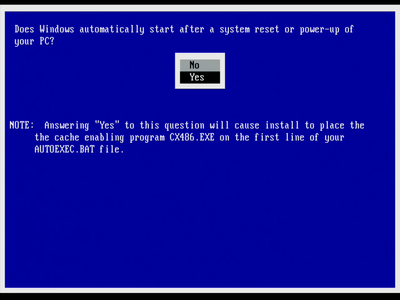 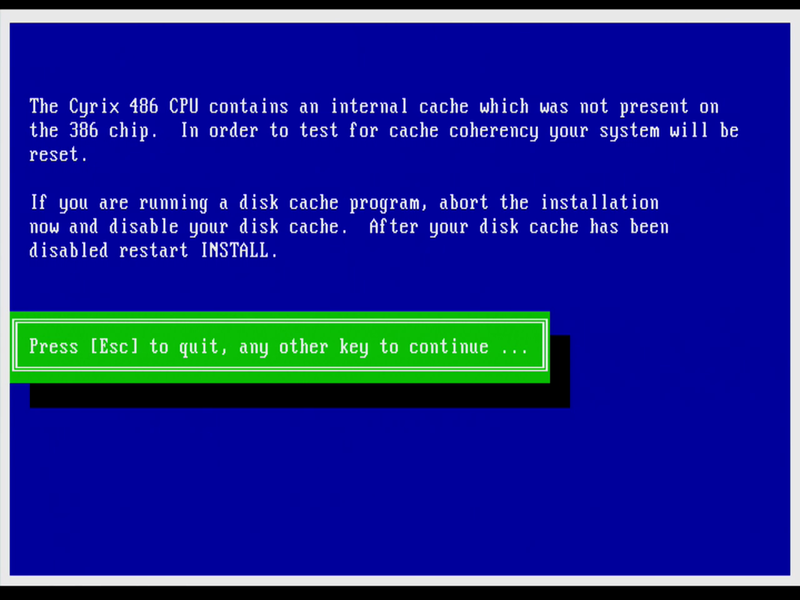 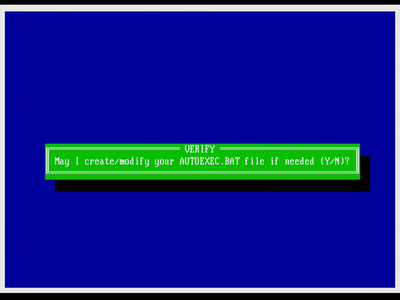 The cache is not always enabled by default, depending on motherboard, but can also be set via software. I tested this processor on my FX-3000 motherboard and this one has a BIOS setting, enabling L1 cache by default. 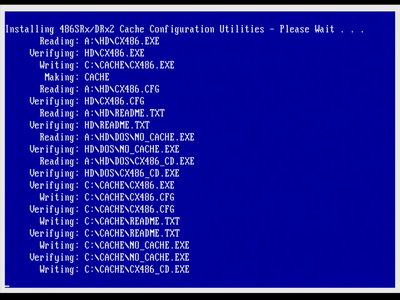 Below you can see the performance difference between having the 1 KB L1 cache enabled or disabled. Here are DOS benchmark results showing the performance difference with Cache enabled and disabled. 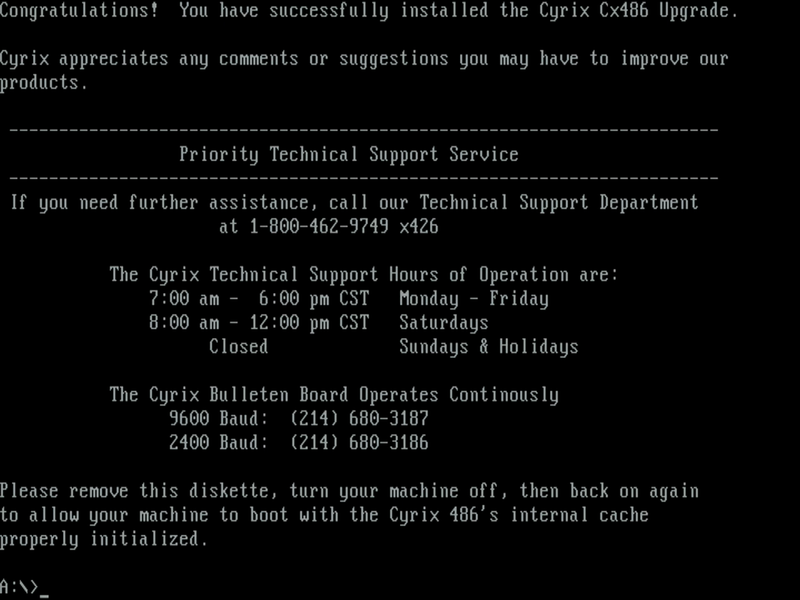 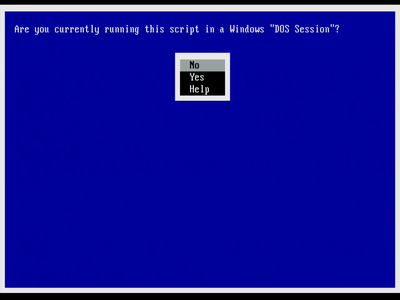 To download a Boot Floppy with these benchmarks go here. 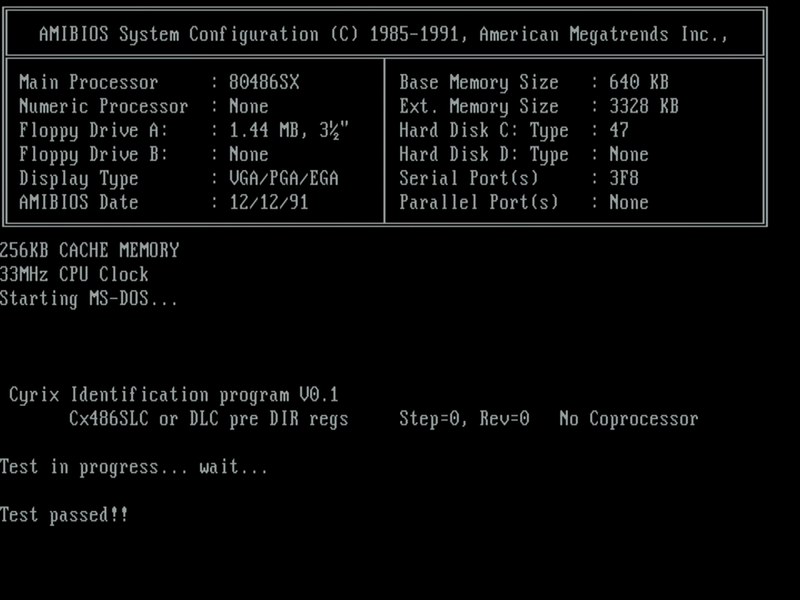 This installation disk works fine with the Cx486DLC processors and optimally configures the system for these processors. 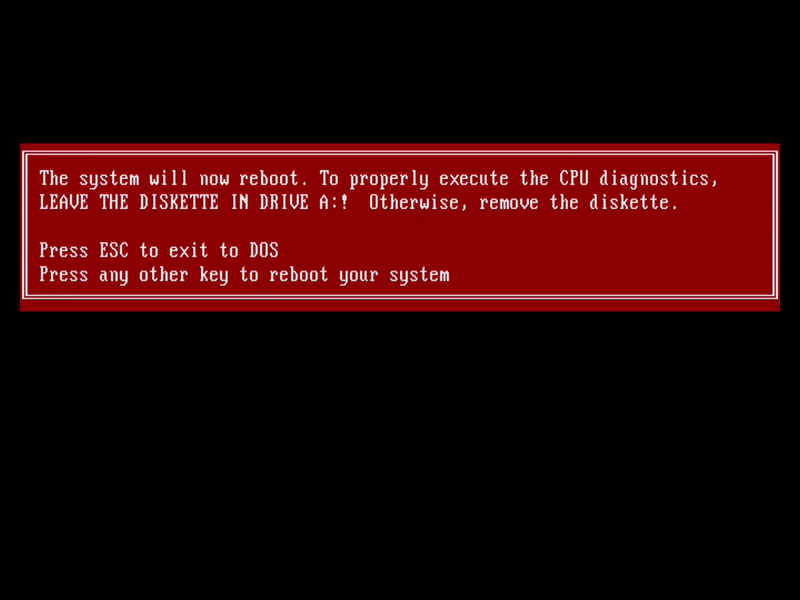 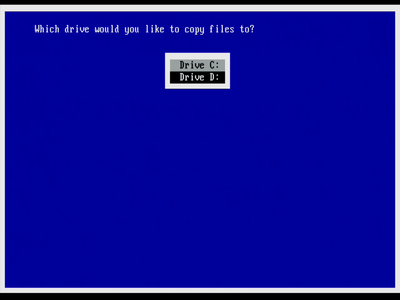 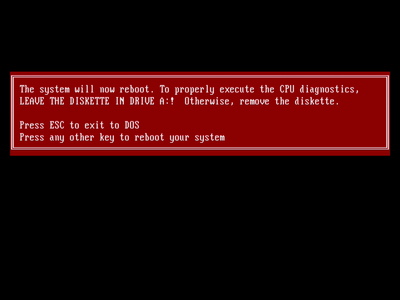 Below you will find a Floppy image which you can use to create the Floppy Disk as well as screenshots showing the installation process. 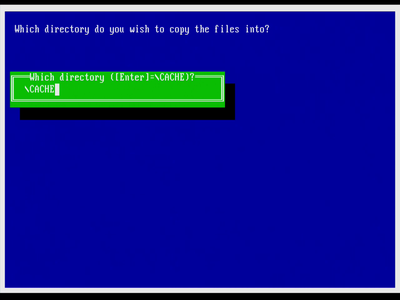 These tools are on the above installation disk but if you don't want to install the driver permanently and just want to check or set the L1 Cache from a Floppy for example you can use the files below. 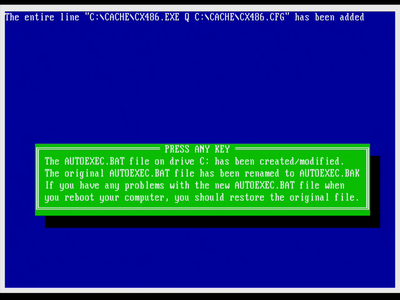 This program worked reliably for me in enabling and disabling the 1 KB L1 cache. 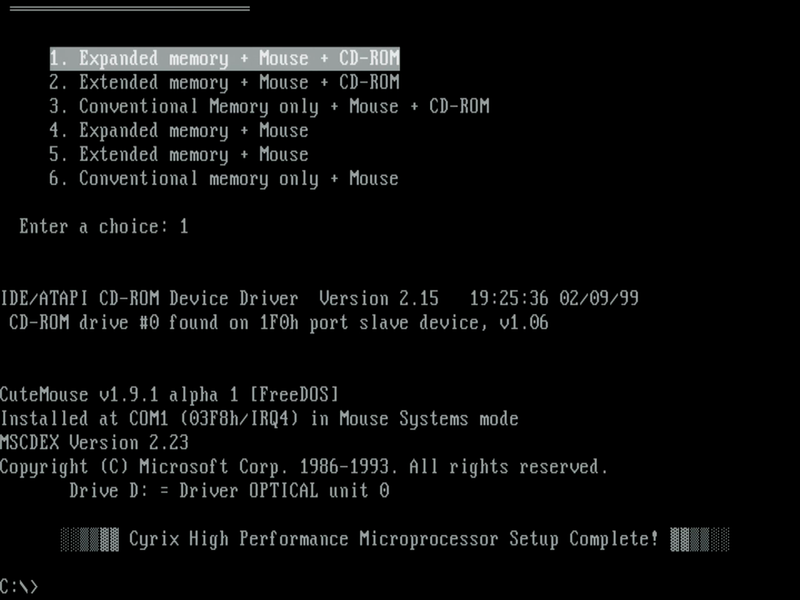 It has a nice graphical user interface too. Press C to toggle the Cache on or off and then you must press W to write the changes to the CPU register!